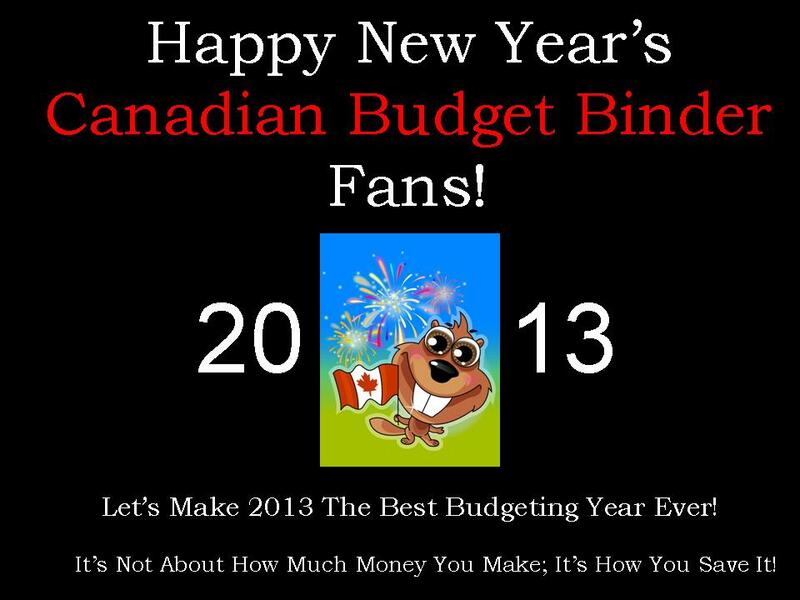 Happy New Year’s to all my fans here at Canadian Budget Binder. The Grocery Game Challenge has been amazing this past year and I know 2013 will be even better. We have had fans from Canada and the USA post their grocery shops weekly and we are growing each month with more people who want to stick to their grocery budget. 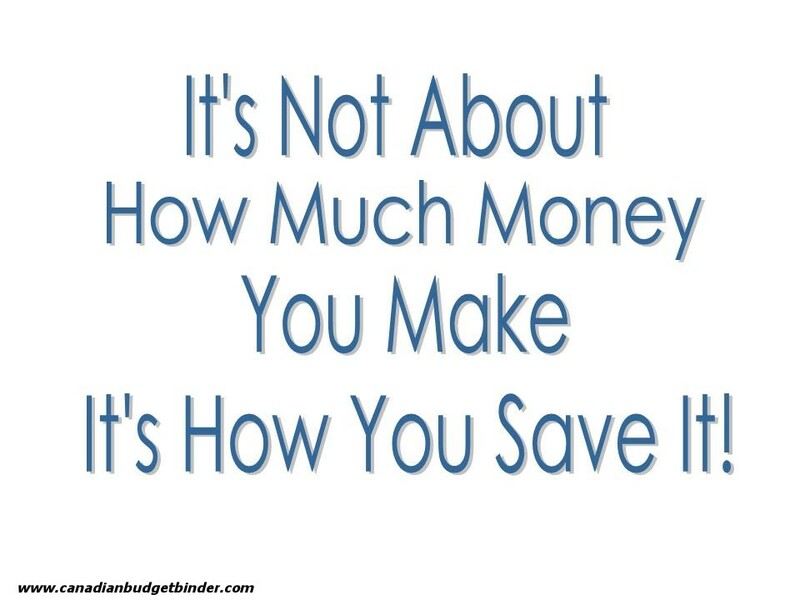 If you are looking for ways on how to save money post your shop in the grocery game each week. I often have people email me to ask me “How much should my grocery budget be?” but the question should be “How much can I afford?” to spend in the budget. I can’t tell you the amount of people who are looking for magic numbers telling them what they need to spend on groceries every month. I’ll tell you all loud and clear you are the one holding the answer to your question. No one on the internet can tell you what to spend. Once you figure out your monthly budget using your net income the numbers should fall into place. Balancing the budget is the only way you will know how much to spend and besides there may be other factors in your life that only you will know. You have to pay for your fixed expenses first and then your variable (the one’s that go up and down and that you have more control over. There’s more to frugal living then the grocery budget and once you put a budget in place and follow it the more you will learn. If you haven’t read my budgeting series give it a read starting with How we designed our budget step 1 to learn the basics behind what we did. Christine at Coupon Christine shares her dirty little SCOP secret.. did you know that you can get FREE just from a scanning error… read her guest post on the Scanning Code of Practice in Canada. Julia from Save Big Live Better shares with us Where to find Canadian Coupons and Canadian Stockpiling Tips. Theresa at Canadian Free Stuff shares her knowledge about why it’s important to know your prices in order to get the best grocery savings. Are You A Grocery Store Snob really brought out the opinions in some people but that’s good we want a great conversation here at CBB. Help Stock My Pantry to Save Money was a helpful post for those who wanted to download my pantry list to keep track of food. The Freezer Inventory List helps people keep track of what’s deep down in the cold freezer. A must have for any freezer owner. If you are a regular grocery game challenge poster you will notice that I updated the template for 2013. I will paste it here below but you can also find the template in the grocery game rules post. If you could all use this template so we can follow along with your grocery game challenge all year that would be brilliant. So as we can see lots has happened in 2012 but the best is yet to come. The Grocery Game Challenge is posted every Tuesday on the blog. Subscribe to the blog so you don’t miss a post! December 2012 Grocery Game Challenge WINNER is….. DONNA R #25! Congratulations! You will see below that our grocery budget 2013 has been adjusted for inflation as well as an average of what we actually spent in 2012- $2685.12. Our 2013 grocery budget is now $2819.38. We also now have a stockpiling category in our budget which will be used for stockpile type sales only. If it does not get used one month it will go back into our savings account. That budgeted amount will be $20 a month or $240 a year. In 2012 we used the grand total of $2727.94 which included everything across the budget just not groceries. If you compare that to our 2011 coupon use of $7428.81 you will notice it has substantially dropped by $4700.87. I do want to point out that our 2011 total included $750 in Shoppers Drug Mart redemptions which we counted as coupons. So the next time someone tells you it’s not worth it to use coupons just smile and leave it at that. You know who’s keeping the money in the budget and that’s all that matters. •Total Grocery Budget for the Month: $235.00 or $78.33 week with one no shop week per month or $58.75 for 4 weeks per month. •Weekly Overview: Not too bad this week as we didn’t need alot of items. We will likely stock up next week on vegetables and fruits. No, you don’t have to be Canadian to post your shops only to win a monthly prize. We have a few posters from around the world. Does Your Grocery Budget Include Health and Beauty and Laundry? Yes our Grocery Budget includes such items as shampoo, conditioner, laundry soap, fabric softener, dish soap etc. We don’t mind stockpiling items that won’t be effected by expiry dates or have long expiry dates but not so much food any more. It’s just one way to help cut your budget to save money. 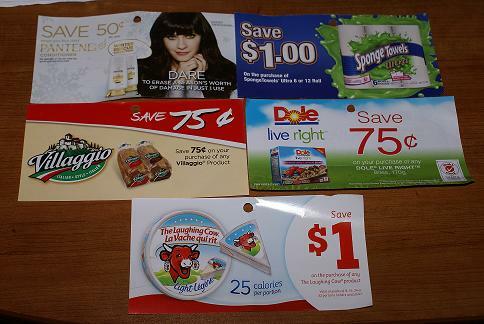 There are many places you can find Canadian Coupons whether it be in store or via the mail. Canadian Coupon Match-Ups- Match your coupons with flyer sales! Here are your latest Coupon Match-ups of the week from around Canada compliments of Save Big Live Better. I’m new here – thought I’d give this a go and see if it helps me stay in budget – posting this late because the last couple of weeks were spent living a long-anticipated dream of taking our boys to Disneyland! And it looks like we stayed in budget with that – but that’s another post! •Total to Carry Over Next Month : $ ? •Weekly Overview: Wait for some items to be on for a better sale price and not get overexcited about using coupons – now! Yes, Disney was absolutely amazing! So much fun in so little time! And I’ll remember it forever. Going from plus 25 celsius to minus 25 celsius when we came home was a bit of a shocker! We live in Northern Ontario, so yes, I’m proudly Canadian! I believe your background is UK? My parents are immigrants from England, and I lived there as an infant. Hoping to go back in the next few years and show my sons a bit of their history. In answer to your questions – we feed a family of 2 adults and 2 growing boys – they are elementary age. The Listerine coupon was a printable I believe – can’t remember where right now – Smartsource? And thanks for the hummus recipe – I will look that up and give it a try – it’s definitely a new favourite of ours, and I will be buying (or making) it regularly! And YES – I am getting to know the SDM program more and more. We were able to get $85 worth of free stuff in the summer, and $210 worth just before Christmas, and we almost have another 95,000 points for next time there’s a mega redemption! I’ve also redeemed about 65,000 since Christmas as well – for other items. We got the SDM mastercard as well, and we’re trying to take advantage of all the earn extra points days, etc. We love it so far! The SDM program in my opinion is one of the best around as long as you get products on sale knowing they are the best price along with the points otherwise we might as well just buy it somewhere else for cheaper. We didn’t redeem in 2012 but we did 4 mega redemptions in 2011 at CHristmas which was ALOT of shopping lol. Good to know you are in Ontario so I can give you ballots each week you post to be entered in my monthly contest. Where about in the UK are you from? My family is from Oakworth, Keighley, West Yorkshire – farm folk. And yourself? True about the SDM program – I am learning so much as I go along – only buying things I know we’ll need, at good prices, sale items, and it’s great if I have a coupon as well. For example, this weekend is the buy $75, get 18,500 points – that’s something like $40 on mega redemption day – so if I can get the total down quite a bit, I feel like I haven’t spent anything at all. That’s what we used to do is spend the $75 to get the points but we have cut back on that as we found we were just spending to get points and at the end of the year we had all these points and said, so what do we need to buy. In reality we could have just not bought all year unless we truly had to and if it was on a points day we could try to make the $50 or $75 but we didn’t force it. They add up fast though. So the first week of January ended up being a no shop week for me. There was just nothing I ended up really needing. I am sure I will make up for it in the coming couple of weeks though. It was very nice to read Pauline’s post and I look forward to following her on the Grocery Game to see how different it is in her country compared to us in Canada and the U.S. Welcome!! Thank you Joanna, and sorry for the late reply, I just saw your comment! Yes it is very large garden about 35 feet by 33feet roughly. Our landlords mom dug it up in a weekend when she first came to canada, she was in her sixties at that!!!!! I did buy some seeds from a dollar store her but only half the seedd took and grew, but when they are 4/3 for $1 its okay if not everything grows. We must have got lucky then especially with our basil it went wild! Wow you must have a large plot of land to grow all of that good for you. Organic garlic is amazing so I hope it comes up for you. We got lots of our seeds from Home Hardware and the dollar store and they worked perfect for us. Smart to get them discounted and use your CT money! I hope to see piccies of this garden in the summer haha! Have a good week Mr. CBB! •Weekly Overview: Simple week. Have lots to eat still. I dont really have too much room in our house to stockpile so unless its an amazing sale i tend not to stock up too much. Our friends upstairs recently purchased a tall stand up freezer in which we can use half so i may be able to stockpile/freezer cook now…..will have to wait and see….so far so good for the month 🙂 Its my birthday this month as well….so any money i save on groceries this month is being put towards a night out….and a charity event we are attending. January is a busy month….had to start planning the budget when having to pay for new stickers and two new dogs tags right off the bat….but so far so good. the cheese I bought to try out and was willing to spend the $2 on it, tonight we had it with tomato slices with salt and pepper and evoo, a little piece of basil would have been nice………… hmmmmmm thoughts of the garden next year, not gonna lie I am already getting my plans out, writing a list and budgeting even though there is a few feet of snow on the ground outside. I also had a moment of silence for the BOX of expired coupons I recycled, lol! I know I never even thought about the extra week of shopping but none the less we have a budget and we will fit in what we need 4 weeks or 5…. we have plenty around the house. Its good to start planning your garden now. We start growing tomatoes and peppers from seed in March so they are ready to go. What do you grow? I know our binder is pretty cleaned out! Good to see you have a total for the year. You can post as you like Jen you don’t have to follow my week but as long as you state in the overview what’s going on and you know what’s going on it’s all good. Remember though you get a ballot with each weeks shop that you post haha. We shop on Monday’s for example and I post the grocery game Tuesday. We typically don’t shop any more until the next Monday otherwise we tend to spend more than we are supposed to. If you shop on Saturday then post for the grocery game of that week but I can see why you have 2 weeks here. Good.. no carry over for the month, I’m glad you ran with that Jen. When do you normally grocery shop? You still have $227 left to spend for the month and that’s a healthy amount.. you can do it!!! You get ballot #8.. (I’m watching your budget like a hawk hahaha) Mr.CBB.. I shop wheneven my MIL is working and I can get her discount card! lol. I try for Fri, Sat or Sun (preferrably Sunday). So when you post you are posting for the week back… so if you post today you are posting for my Tues post past. When I post on Tues again and if you shop Sun you post again on Sunday. That will keep you on track and likely in line with my weeks. Will see how it goes, no stress 😉 MIL … You are so lucky.. love that discount. What about Jen’s first NO SHOP WEEK!! OH MY!!! 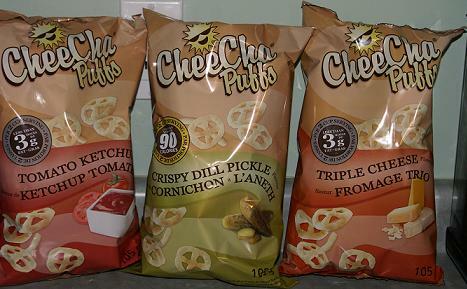 Yeah so do we but we seem to be ok with stocking up the week before for 2 weeks hahaha… so maybe I am nuts!! This gives me a total for the week of $117.53, under by $32.47 for the week. I’m going to try to carry this ahead for weeks I go over. The dog treats were because we decided at the last minute to visit my sister-in-law and I Lways bring a treat for Mitzi! She’s my 4 pawed little niece… Lol.it hurt to pay full price for butter after all this time!!! I’ve lucked out for a while on sales for it but I guess my luck ran out. The stewing beef was a nice deal as it was labeled groundbeef and priced that way too, which was cheaper than the price for actual stewing beef! !, not that I’ll complain…. •Weekly Overview: Share your overall thoughts on your shop and what improvements you will need to make. •Weekly Overview: we went over our budget because it was a birthday and there were a couple awesome Christmas decor deals which I plan to sell some of and get my money+ back in november. Welcome to the grocery game challenge! Subscribe to the blog if you haven’t already so you always get my post in your email every day. That way you won’t miss a beat here at CBB!So you have a healthy budget of $400 a month for 5 people or $4800.00 per year. If you go over budget on month do you try to spend less that amount the following month? We are doing that this year so we can stick to the yearly budgeted amount and in your case $4800. What do you include in your grocery budget? Food, Pet, Baby,Laundry, Misc? These questions are just so I understand your shopping better as well as the fans who read these posts every week and follow the shops. In your overview you say you picked up some great deals on decor and will sell them in November. I presume you mean next November to make back some money to add back into your budget? Interesting…… DO you do this often? I’d love to hear about it. So you used $4.86 in coupons this week, that’s awesome. So you went over this week shopping you can make it up the next week. Thanks for posting your shop. Like I mentioned on Facebook if you can put the prices and coupons totals next to each product that would help me to read and understand the shop more. You get ballot #5 in the monthly draw! (don’t worry I track all the ballot #’s so you don’t have to unless you want to). Mr.CBB… See you next Tuesday Tori! Hey Mr CBB, I hadn’t realized my wordpress account was linked to my other website, which is still under construction, thanks for pointing that out! To answer your questions the fish comes from a neighbor who fishes and brings it over, then the handyman cleans it and I freeze a few and we eat a couple on that day. I have learned how to clean them but am enjoying the convenience! Yes we find about everything here, lots of junk food in very small sizes so people can afford them, which is terrible because it messes with their usual diet. Staple foods are black beans and rice, with corn tortilla, people usually eat eggs for breakfast and rarely have meat, or a very small piece for lunch, with rice and beans. Those are pretty cheap, about $.50 a pound, meat is $3 which is half a day of work on minimum wage, so a luxury. Then if you want real luxuries like cheese, dairy, cereals, bacon… you pay a premium, about US prices and sometimes above. There is Walmart in Guatemala City and a kind of Costco but where I live those products are harder to find or even more expensive, limiting temptation. Cheers! •Weekly Overview: We have quite a bit of meat in the freezer so I avoided buying any this week. Very happy with all the cat food at an exceptional price after coupons! $10 or more in airmiles to use at metro, $6.84 pc gift card and $42.51 walmart gift card. It should be a cheap month. i purchased an ipad. i love it and the app for checkout 51! not really sure if the budget is reasonable or not. i totally couponed my brains out in 2012, got 17K worth of stuff and averaged $298/mo. prices are rising and i’m not sure that i can keep up with how i did last year. flour wasn’t a name brand at either nofrills or giant tiger. one brand was prairie flour mills, the other was county fair…but at those prices i’m good with it! i don’t do any fancy baking and as long as i don’t burn anything i’m good with it lol! the glade promo was a coupon zone coupon. buy $15 worth of glade products, get a $15 pc gift card by mail. i had a $5 wus $15 glade coupon and also got a $5 wus $20 or $25? can’t remember now, when you sign up for a pc master card (hence pc points available to use atm). they also give you $20 worth of points when you receive the card and i earned $50 since the middle of november when the card arrived. i also have about $30 worth of sdm points. i think i’ll save those to get to the max redemption level. •Weekly Overview: Like to say this is a good shopping trip but really it is just filling in the gaps of what I have on hand. I seem to be so NOT-motivated to look in the freezer/pantry and design menus based on what I have. Rather more excited to make meals from recipes I see in the cook books I got from the library. Would love to see some chicken on sale in the next few weeks!! But I am stubborn and will make whatever I have to to make my budget work. Happy New Year to you and yours. I am excited by new beginnings and very motivated to attack my goals for this year. Today I was listening to the CBC while running errands and heard a news story that a Royal Bank survey of clients reports debt reduction as the financial priority among Canadians (over saving and retirement planning). I can completely relate as that is where I live right now. Next year I will revise my priorities as finances allow. I am also excited and thrilled to have won last month’s grocery game. How shall I contact you to provide my address? Coupons used = 5.50 + I rec’d a coupon by email for 20x Optimum points when you spend $50.00 today. Coupons used = 4.00 + plus coupon for 15 bonus air miles WUS 30.00. •Weekly Overview: I think I did pretty well. My New Year Resolution is to eat more veggies and get rid of most junk food. I am fairly well stocked up so didn’t need much meat or personal items. The turkeys and/or reduced veggies threw me over but I will recoup in future weeks when I don’t have to purchase them. We have been making our own pizza for years. In fact, that is what we had for dinner yesterday. Toppings included leftover turkey, fresh spinach, red onions, mushrooms and bbq sauce.My hubbie makes excellent pizza dough and we can make 3 X-large deep dish pizzas for under $10.00. This is a must for feeding the starving kiddoes. With abruptly switching to Gluten Free living for me…we have lots of wheat products in the house that hubby alone will be using now (i.e. dried pasta, canned soups, grains from the wheat family). It means we’ll have slightly different meals until I have exhausted the food that I can’t have, but it’s worth it to start rebuilding my health! On the night he has a canned soup, I can make a vegetarian split pea, lentil or vegetable soup for me. Or just make one soup, and split the soup in half, before I add any pasta, barley or bulgur to his half. When he has pasta or a wheat family grain as his starch… I’ll have a potato, sweet potato or yam. No biggie…and really not a lot more work. By the way, I don’t have a formal diagnosis of Celiac disease as yet, but after chatting with my sister this Christmas – I found out 7 of my family members are either allergic to wheat, suffer with Chron’s disease or Celiac disease. So, I tried going Gluten Free just before Christmas and voila…no more indigestion, no more nausea, no more “dashing” to the washroom! After suffering absolutely horribly for months and months (in fact the whole time we were on vacation), I was happy to finally figure out what the devil was upsetting my apple cart. And the effects of the change were immediate and within 24 hours I was feeling amazing! So, I guess the message is…don’t fight it, just cut out the wheat and any gluten you can find. I “oopsed” the other day (never thought tomato soup would have wheat) and I was sick as a dog within half an hour. If I needed confirmation, I certainly got it! I will see my doc this month & have her send me to an allergist for confirmation and an exact list of my food allergies, but for now it’s just such a miracle to feel good again. I was getting really sick of feeling sick, and was willing to go to any length to change that. Foods for Gluten Free living can be so much more expensive if you do all “pre-packaged”, the same as any other convenience foods, but even more so. It’s like they know that for the vast majority of people, they still want the easier softer way so they sock it to them price wise! I plan to make most of my own meals from scratch because then I know exactly what is in my food. Not only do I bypass the gluten, I also skip oodles of preservatives & sugars and other crap that I can’t pronounce. We’ve changed our diet so many times over the years…meat eaters to Lacto-Ovo Vegetarian then to Strict Vegan back to Flexitarian (we eat fish, eggs and dairy) and now to a Gluten Free lifestyle. After a car accident when I couldn’t walk for a year, I read voraciously and learned all kinds of stuff about alternate styles of eating and international cuisines. Hubby has been so incredibly flexible with all the changes…he just asks that whatever he eats actually tastes good. 🙂 Not exactly difficult to please is he? When we were Vegan, he still enjoyed a lasagna or a burger and fries when we we dining out. I am sure as we switch to Gluten Free, he’ll still have some amazingly yummy meals at home and a few treats when we are in a restaurant! So…yes I think I can make last year’s budget work. Using up the stockpile will keep the weekly grocery shops low until summer. I plan to carry forward any “Under” amounts to buy extra produce when canning season arrives. Wow, that’s like a blog post comment lol. I like what you are doing and we will be doing the same. I think just opening up the budget a bit more will keep us sane for now. If we don’t spend it then it will go back into savings. We aren’t going to rush out now and spend the full amount just because we can. I think you and Larry are going to do wonderful things in 2013 with the budget because you are both so committed to it. Your GF lifestyle will be a learning curve but nothing you can’t handle because you are a go-getter. I can’t wait to learn all the new food and recipes you bring to the table. Happy New Year to you both Mary!!! I wasn’t sure how to show the fact that ending today, for every $50 iTunes gift card purchased at Safeway…you receive a free $10 Safeway gift card for future use. Since they processed a charge and then reduced the charge with a coupon, I showed it that way. Happy New Year Mr CBB!! I will post my shop later this week, hopefully it is a no spend week! Ok, I think I am good to go with my first shop! I think we won’t go shopping for the rest of the week. 5 gallon drinking water $2 it gets delivered to our door weekly, usually one 5 gallon tank per week. •Total Grocery Budget for the Month: $100 (25 per week). I am aiming at $200 per month. That is the minimum salary here, but if we eat meat, cheese or fish almost daily, and drink alcohol, I think this is what we will spend. We had a HUGE shop in december from the capital city with lots of expensive produts (Nutella, wine, cheese, bacon, beer…) that I hope will last for 3 months hence the reduced budget for January. •Weekly Overview:The pantry is well stocked with expensive items. We have pistachios, snacks, olive oil… that should be used over the next months. But the basic items like rice, sugar, vegetables are pretty low which should make the shop next week a bit expensive. I am certainly hoping to keep that $25 per week budget for January and February at least but I think we may buy meat in bulk and go overboard. Welcome, that’s great you decided to join in with us! Feel free to leave a link to your website for the fans but once my new site is up I should have comment luv which will be far better! Look at the awesome price for fresh fish. Do you have to skin and clean the fish or are they done for you? Too bad there are no coupons in Guatemala but is there just the same in terms of convenience foods like there is in the UK and Canada? What are the staple foods in Guatemala? I’m interested to see your prices and how they compare to here in Canada. I think it’s awesome you are posting with us from Guatemala as it gives us a different perspective on food and pricing around the world. We also have kim from eyes on the dollar in the USA…. and other bloggers who have joined in!!! Posting your shop will hold you accountable to your budget and hopefully you will hear me chatting away in your ear motivating you to stick to your grocery list like I hear all of you!!! Cheers Pauline!!! Mr.CBB …. Looking forward to your next post!